SKU: D8H110. Categories: Under €25, Kitchen, Kettles. Tags: design, durable, guarantee, home, judge, kettles, Kitchen, malta, mirror, quality, resistant. 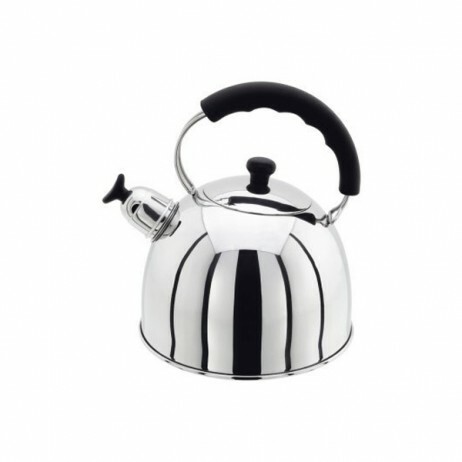 Made from a highly mirror polished stainless steel, this delightful 2.5 litre stove top whistling kettle by Judge is perfect to use in motor homes, caravans or whilst camping. Lightweight, but durable, with a heat resistant easy grip handle, the Judge stainless steel whistling kettle is suitable for gas hobs and comes with a Judge 25 year guarantee. Stainless steel stove top whistling kettle by Judge 2.5 Litre capacity Mirror polished finish Easy grip heat resistant handle.